Last year, Jennifer Lawrence put it bluntly when she was asked if she would be back as Mystique for more X-Men movies following this year’s X-Men: Apocalypse. “It is my last one, actually, yes,” she told MTV at the time. Now she appears to have changed her tone. It’s unclear what will come of the X-Men franchise after the release of “Apocalypse,” which sees the completion of the trilogy that began with “First Class” but also the end of many of the main cast’s contracts (including Lawrence, James McAvoy, Michael Fassbender, and Nicholas Hoult). The new additions to the cast, such as Alexandra Shipp’s Storm, Sophie Turner’s Jean Grey, Ben Hardy’s Angel, Tye Sheridan’s Cyclops, Olivia Munn’s Psylocke and Lana Condors Jubilee, could become the focus of the series moving forward, but it remains to be seen. Currently no further films in the main franchise have been announced, but a number of spin-offs remain in development including Wolverine 3, Gambit, a Deadpool sequel, and The New Mutants. 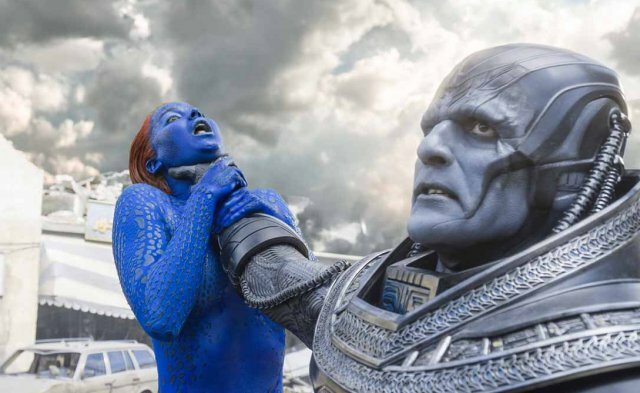 Would you want to see Mystique return to the X-Men franchise after Apocalypse? Sound off below!